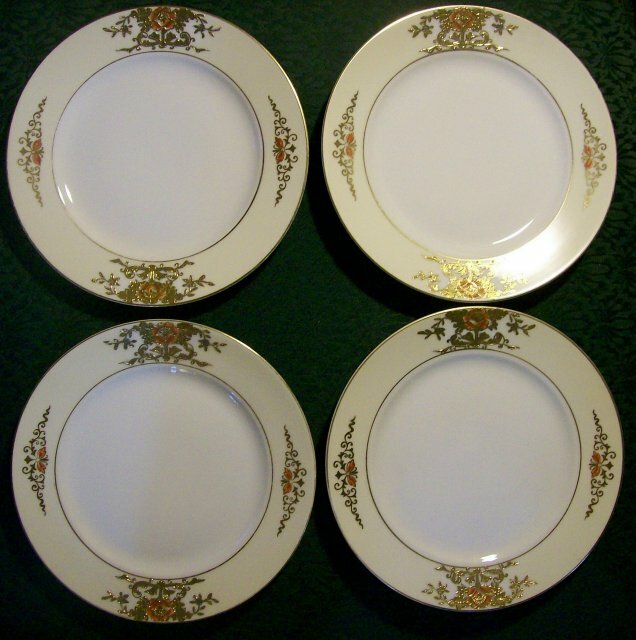 Set of 4 luncheon plates in the Raised Gold pattern #42200, made by Noritake of Japan. 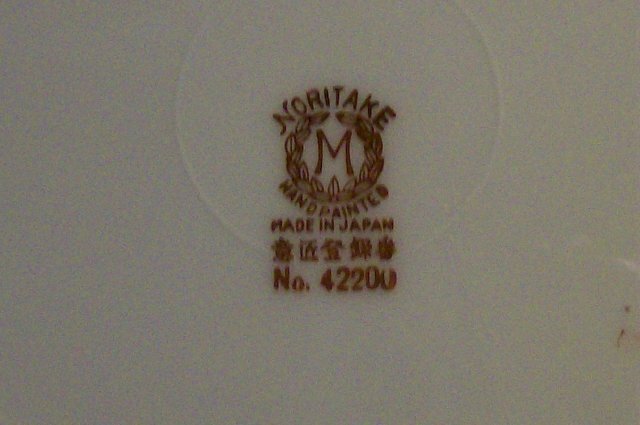 Marked as shown, first registered in 1918. 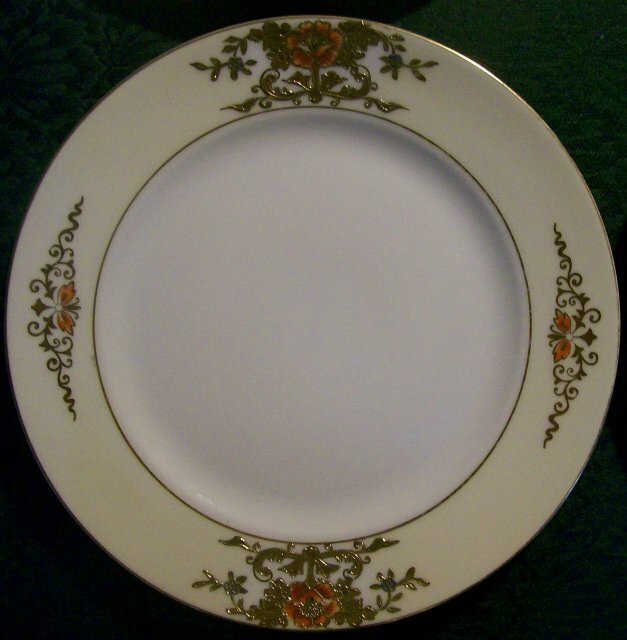 Each plate measures 8.75"d. Lightly used condition, showing some surface wear, mostly along gilded edge. No chips or cracks. Email if more info is needed. Sold as is and as a set. Inglenook Antiques...Established 1989. 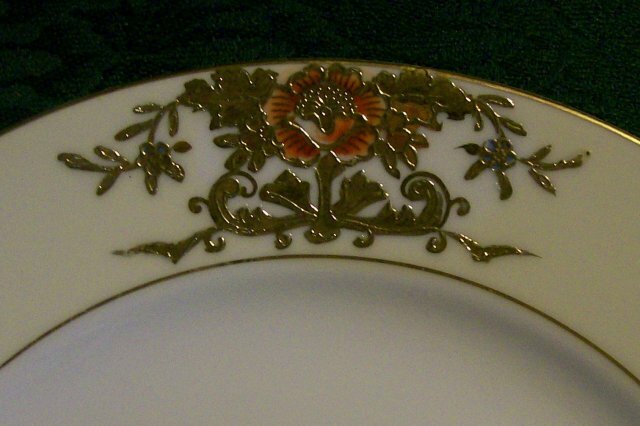 Items Similar To "Noritake Porcelain Raised/Encrusted Gold Plate Set/4 #42200 Ca. 1..."